I will come back to this photograph. Saving the best till last! Several days were recently spent in this area of Sydney with an interesting selection of food. Here’s a few based along one street, with one across Parramatta road. If you have not been before, I have to recommend a visit to the Deus Cafe, on the north side of Parramatta Road, right on the corner with Lyons Road. It is opposite the exit of Missenden Road into Parramatta Road. There’s not much signage so it can be easily missed. Here’s a review from a few years ago – still very relevant. (just be careful their map is a little off the mark). Great atmosphere. Used by casual business types, lots of people meeting up, couples, and families and almost anyone else. Good service. Food always great. Ideal meeting place for breakfast and lunch. Had a very special dinner here once. Good coffee. Lots of art work – much by Reg Mombassa. 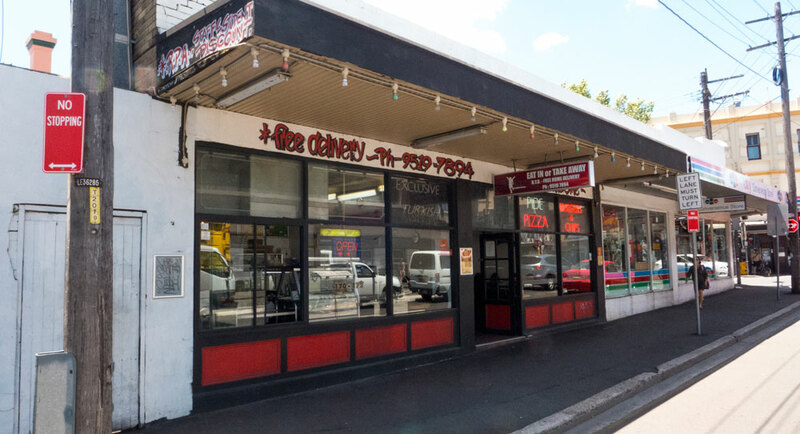 Situated about 100 metres in from Parramatta Road on Missenden Road. We have had dinner here numerous times. A simple decor cafe/restaurant. No fuss friendly service. More a cafe style than restaurant; and that’s not a criticism. Food always fresh. Good range of dishes to choose from with a few house specialties. We always eat here when in the area. 154 Missenden Road – up towards City Road end. This is new for us. Ate there for brunch during last visit. Friendly and very efficient service. Good food. Going by the clientele, looks to be very popular with a whole range of people for breakfast and lunch ( I think it closes for dinner). I have a had a take away from here in the past. Standard style of Turkish/middle eastern food. Would have to say that if you are looking for middle eastern food that this one was OK but maybe check around the corner on City Road for other choices. But – last weekend we called in here for an earlish take-away. I was feeling the urge for a middle eastern hit of food. But instead we had a Fawlty Towers experience! It looked as though the usual boys had the day off and left mum to look after the shop and she was in a BAD mood. Glared at us as we walked in. Then asked before we had time to think or even glance at the large menu. Can I help you? We quietly explained that we were looking at the menu. No – not good enough. She asked again: Can I help you? We said we were yet to make up our minds. She grumped something and stared at us. Luckily someone else walked in and she immediately went after him. He knew what he wanted and ordered. We then tried to get her attention. She was ignoring us. Eventually she paid some attention and yet again said: Can I help you? I started to reply – Could I have a lamb Keb…. Before I finished, she said something like – no lamb – only chicken and beef (I think that is what she said). Then she walked around ignoring us again. We tried to get her attention. She was having none of that. Basil Fawlty had returned in the form of a Turkish mum. We looked at each other, laughed, gave up and walked out and back up the street for another yummy meal at Papaya Thai. Recommendation: avoid!!! and ignore the middle eastern restaurant across the street. It serves ordinary middle eastern food at much higher prices. Strongly recommend you head around the corner on City Road , Newtown, where there is an amazing number and variety of eateries. They are very busy most nights.